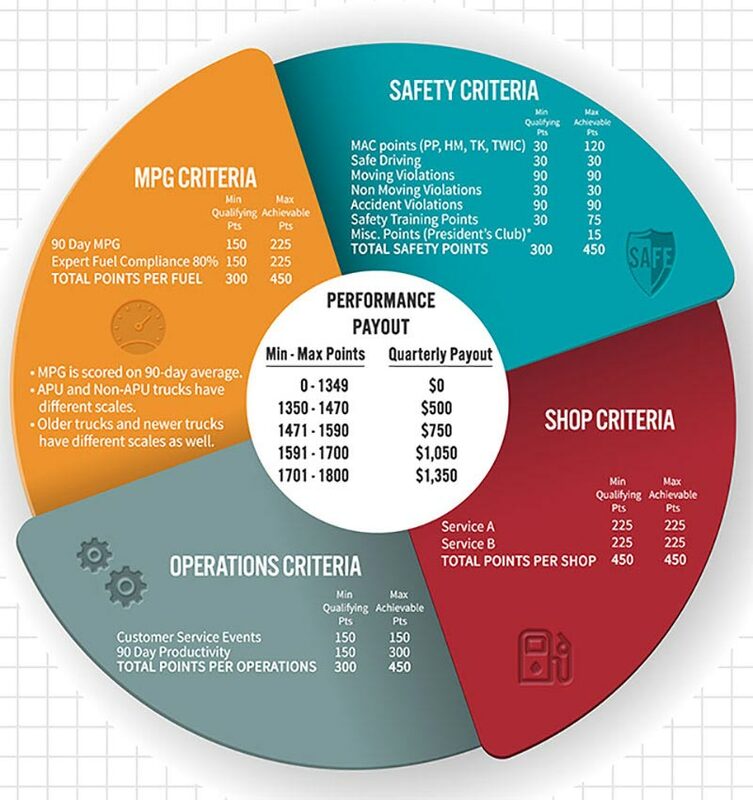 The driver score card (DSC) was implemented so drivers can review and measure their overall performance in MPG, Safety, Operations and the Shop. This tool is also useful to set personal goals, and audit their Operations, CSA, and internal Safety records at Melton Truck Lines. Each of the criteria is assigned a point value for positive performance like attending safety meetings or getting more credentials, and/or negative performance like receiving tickets or having unexcused late loads.